1. Device mounted on a printed-circuit board, single-sided copper, tinplated, mounting pad for collector 6 cm2. 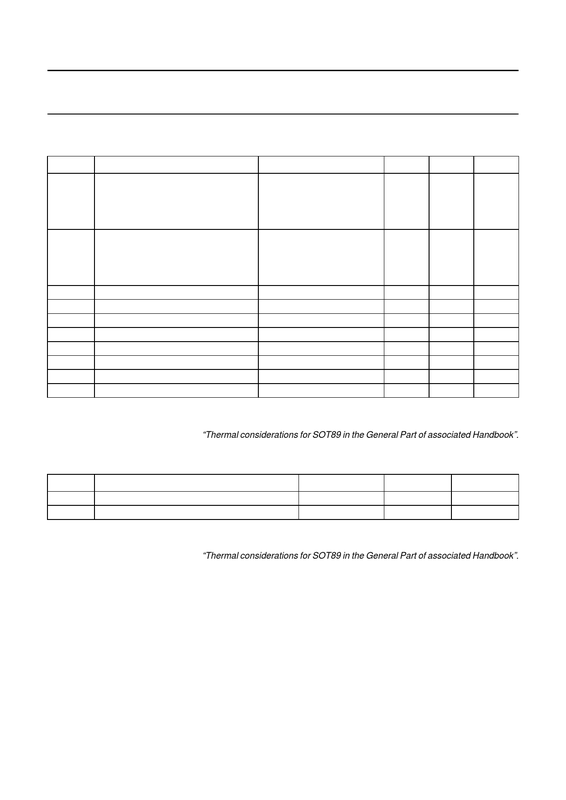 For other mounting conditions, see “Thermal considerations for SOT89 in the General Part of associated Handbook”.